Washington, D.C. – July 26, 2011 – U.S. News Media Group today announced U.S. News Top Doctors, a free searchable directory available at www.usnews.com/top-doctors that lists nearly 30,000 peer-nominated physicians across the country. U.S. News Top Doctors was created in collaboration with Castle Connolly Medical Ltd., publisher of America's Top Doctors and other consumer health guides. It draws from Castle Connolly's database of Top Doctors, all recommended for their clinical skills by other doctors and individually vetted by a physician-led research team. Consumers can search for a Top Doctor by location, hospital affiliation, and a full range of specialties and subspecialties. 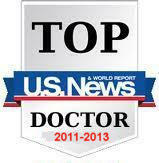 U.S. News Top Doctors builds on the Best Hospitals rankings, which U.S. News updated last week. Health consumers can now see which Top Doctors practice at the 700-plus hospitals in the 22nd annual rankings by visiting www.usnews.com/best-hospitals. "For decades, the Best Hospitals rankings have helped guide patients who need an especially high level of care to hospitals that excel in providing it," said Avery Comarow, U.S. News Health Rankings Editor. "Top Doctors has a similar mission. We want to help consumers find the doctors in their area who come highly recommended by other physicians." 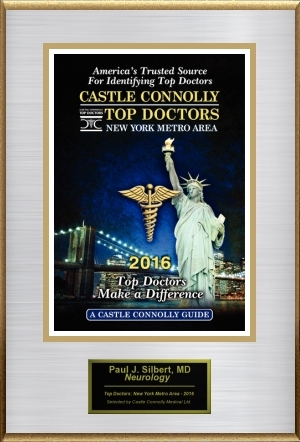 Castle Connolly assembled the roster of Top Doctors by soliciting nominations from physicians in academic medical centers, specialty hospitals, and regional hospitals and physicians in private practice. Its research team then reviewed each nominee's training, achievements, and appointments, among other credentials. "We believe this brings important information on excellent physicians directly into the hands of consumers," said Dr. John J. Connolly, President and CEO of Castle Connolly Medical Ltd. "Given the unsettled future of the delivery and financing of healthcare and the changing nature of physician practices, it is critical that consumers have trusted sources of high-quality information about both doctors and hospitals."